Well, it FINALLY happened. Teddy Won. 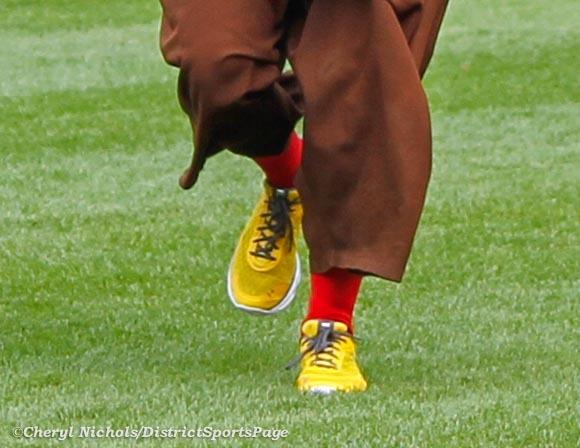 On October 3, 2012, Teddy was decked out in his shiny new gold sneakers and red headband, both by Under Armour. 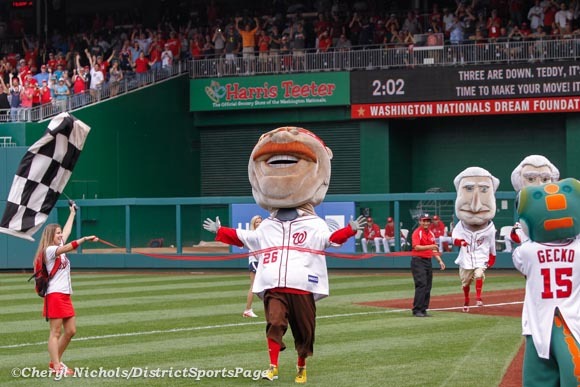 After 525 losses and never winning a race, it seemed fitting that Teddy Roosevelt would win his first race during the last game of the regular season during the Washington Nationals first winning season. 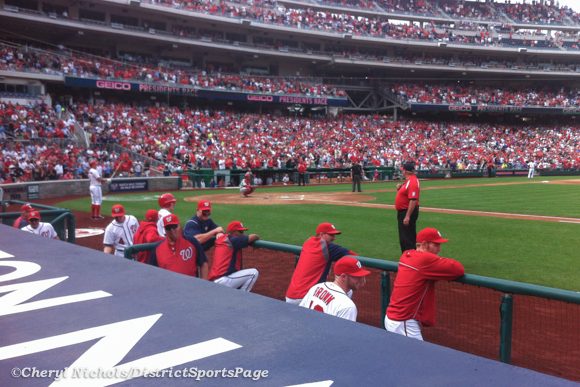 If it hadn’t happened today, fans thought it just would not happen. 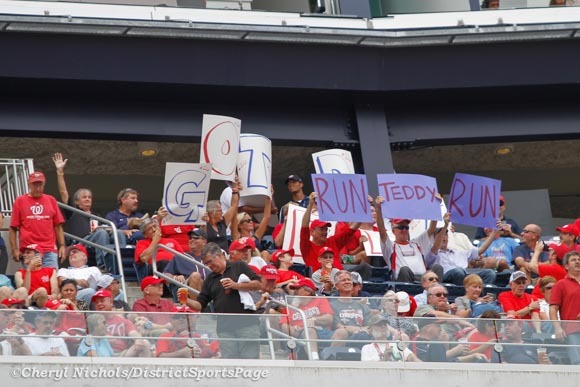 Teddy has gotten a lot of attention lately and has appeared in the ESPN E:60 video, on the cover page of the Wall Street Journal, topic of an ABC special and the subject of many local news stories. 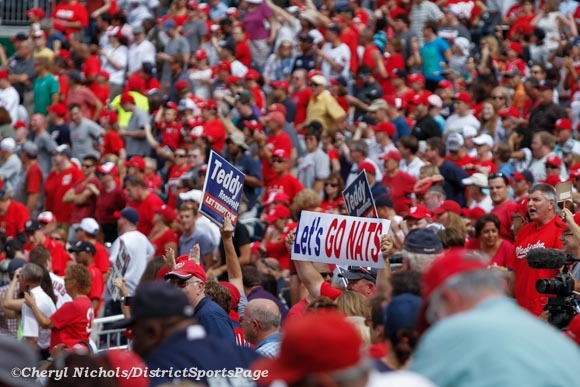 It was fun to see the Nationals players and coaches watch the race and celebrate Teddy’s victory as well. 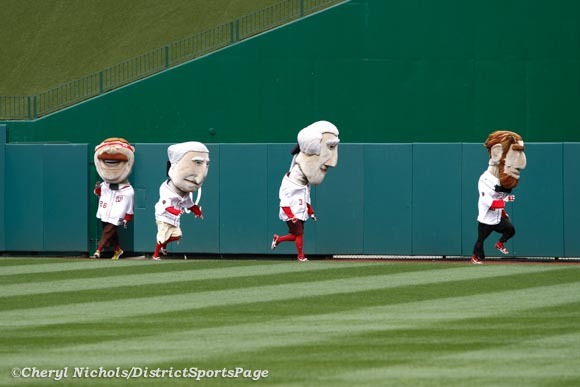 Several players have voiced their opinion on Teddy’s losing streak including Jayson Werth’s attemped coup with the bullpen last season and most recently, Drew Storen. 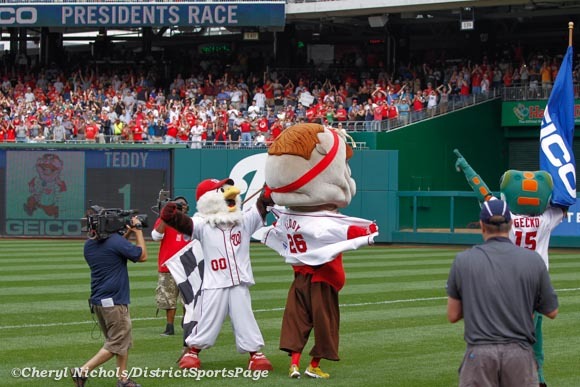 Read all about Teddy’s first win and the Presidents Race history at our friends over at Let Teddy Win. 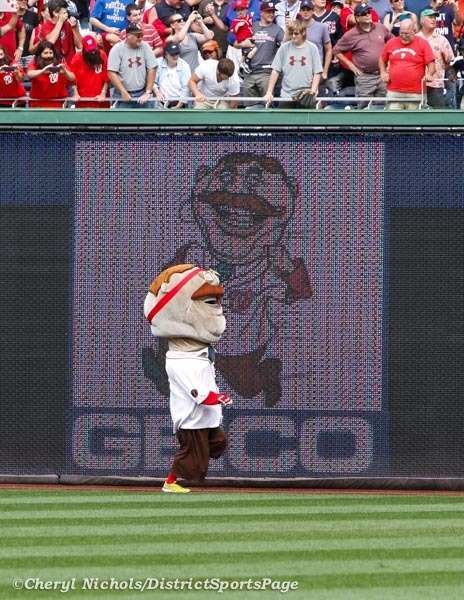 Now that Teddy has won, what happens next? 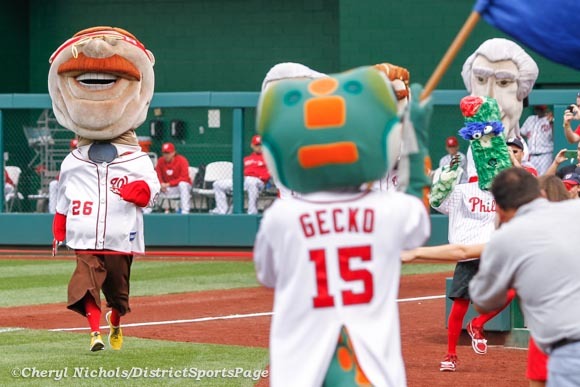 Does he go back to a long losing streak? Retire? 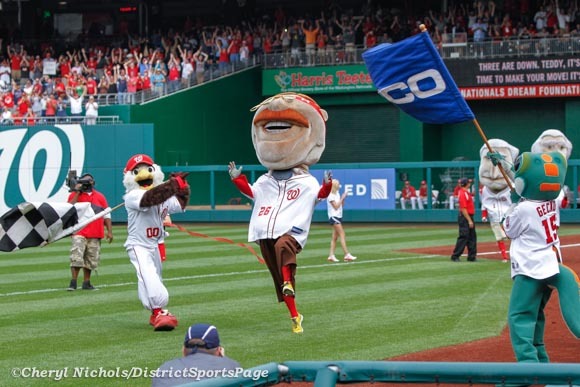 Either way, let’s hope that the race is no longer announced as the, “Main Event.” Stephen Strasburg agrees.